Adela Fonts (Barcelona, Spain) on 18 March 2019 in Documentary & Street and Portfolio. La brillance et le reflets sont parfaitement restitués, magnifique. What a lovely image from something so simple . . five more stars from me ! Excellent and really creative shot. Une belle inspiration que tu as eu là ! 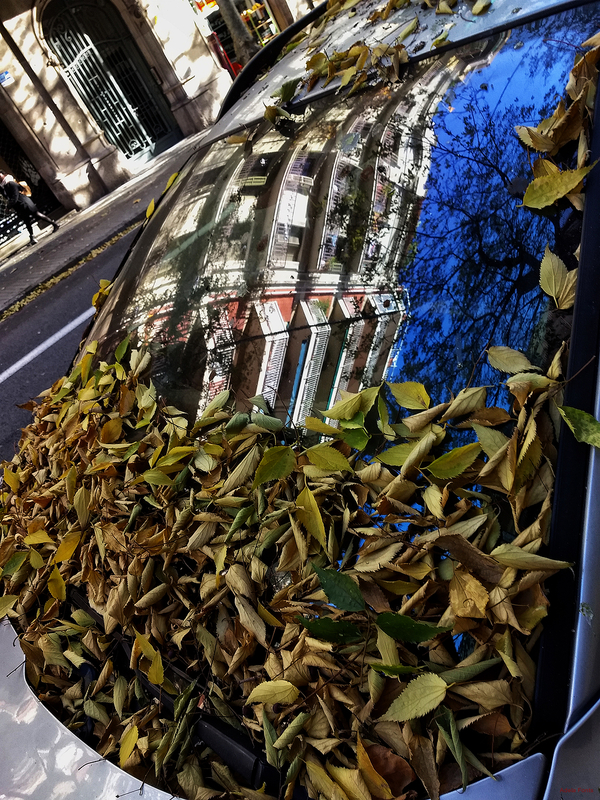 Eye-catching reflections captured off the windshield! Maybe a fluke that resulted in a great image !! Lots of leaves and wonderful reflections.